Chinese New Year will soon be here, falling on February 5th in 2019. Chinese New Year is filled with centuries-old traditions, many centered around family, food and bringing good luck and good fortune for the new year. One Chinese New Year tradition I loved as a young adult was the giving of lucky red envelopes with gifts of money. I worked at a Chinese restaurant throughout college and each year for Chinese New Year the restaurant owners gave each of us employees a red paper envelope with a gift of money. As a broke college kid I appreciated that extra cash and I also loved the beautiful paper envelope that held it. 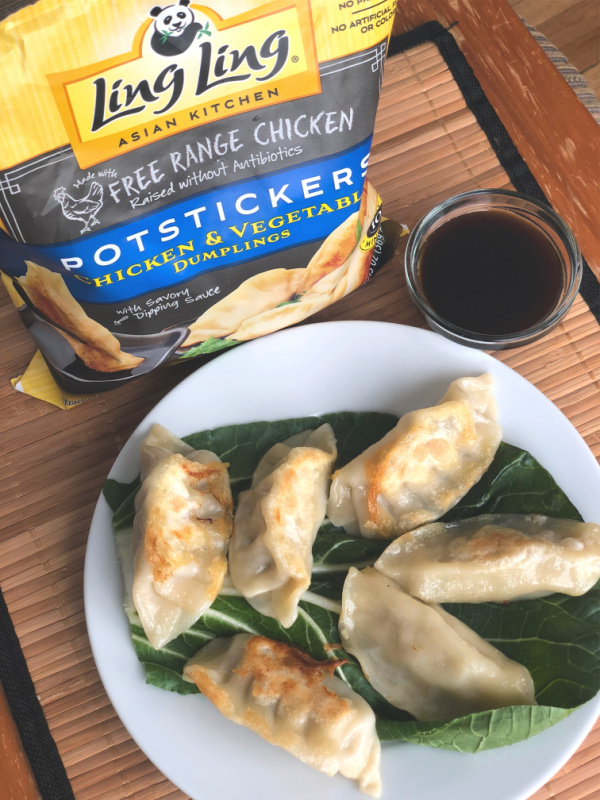 Ling Ling potstickers let you bring authentic Asian flavors into your home and they are so easy to make! 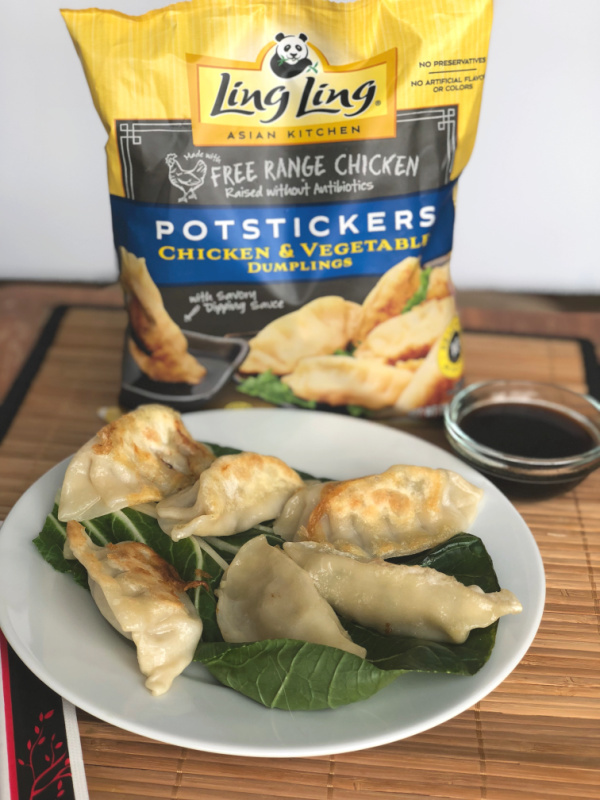 Available in three flavors, including Chicken & Vegetable, Pork & Vegetable, Vegetable, you prepare them in a skillet on your stove and they’re ready within about 10 minutes from the time you take them out of your freezer. Plus, they come with a packet of Ling Ling delicious signature dipping sauce, so everything you need is right in that bag. 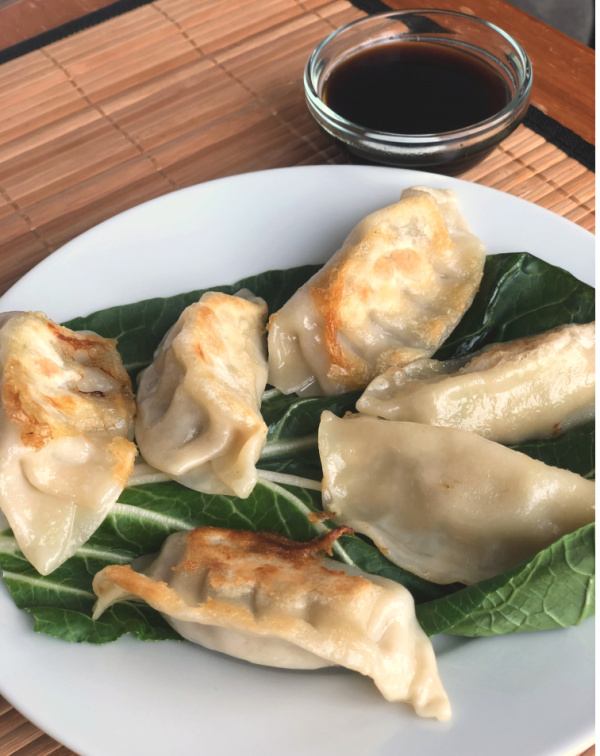 These potstickers are delicious for lunch, dinner, an appetizer or anytime snack. To be 100% truthful I just ate them for breakfast so I could take some photos and it’s the best breakfast I have had in a week! 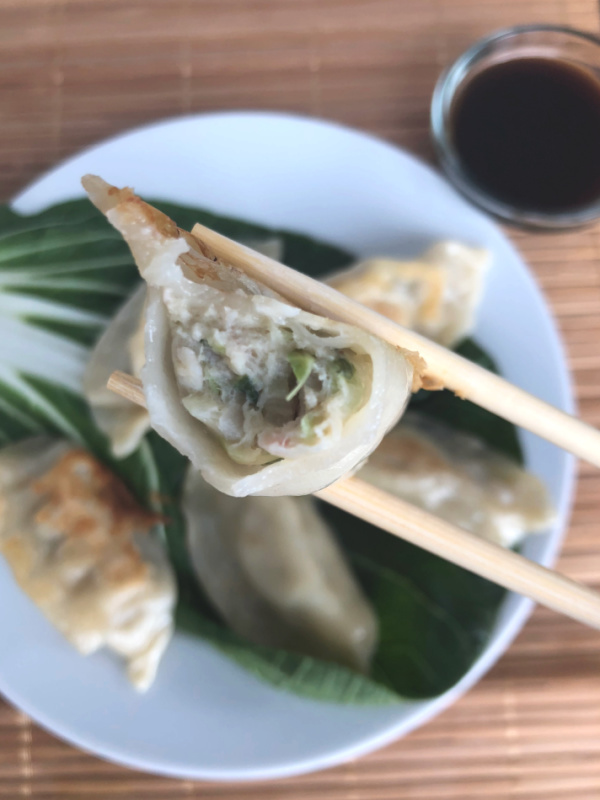 I like Ling Ling potstickers “as-is” with just the dipping sauce, but they are also delicious tossed into stir-fried veggies for a complete dinner that’s ready in just a few minutes. 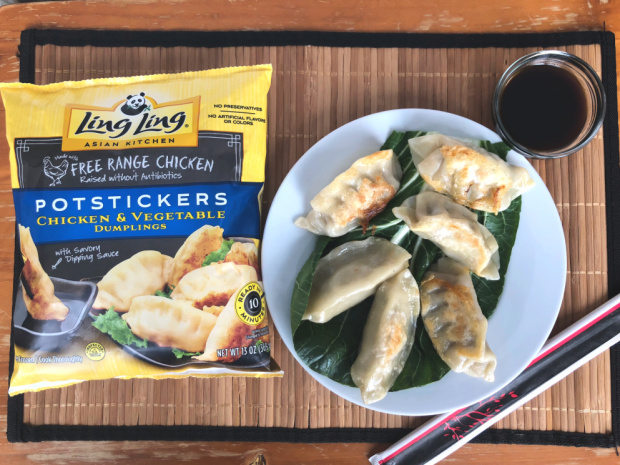 Visit Ling Ling to sign up for future promotions and to locate the nearest store where you can find Ling Ling postickers in the freezer aisle!